On 11thApril, thenew bilingualguide of wineriesof Denomination ofOriginLaManchawas presented at theprestigiousHiltonHotelinToledo. This isabookentitled“Ourwinery”and is thebestexampleofthe linkbetweenwineandculturethat fornearlytwo decadeshas beenpushingtheGoverning BoardLa Mancha, which also organizescompetitionsof stories, painting, photographyand catering-restoration. 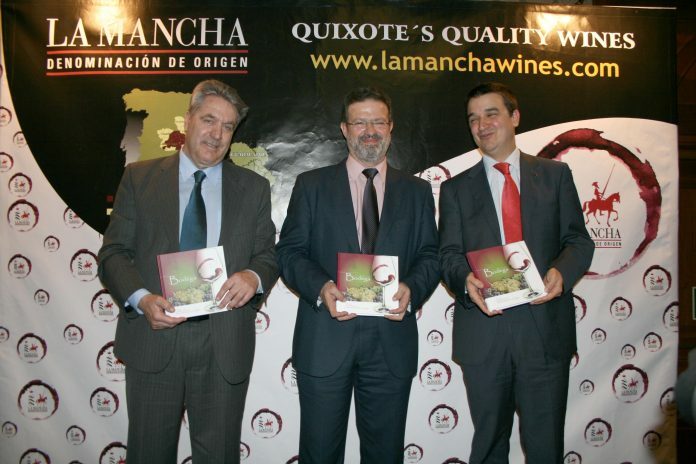 Not onlyisabilingualguideinSpanishandEnglishin which there areover200 wineriessellingbottled winewith Denominationof Origin LaMancha, but inhis273-page alsotalks aboutthecultural and tourist attractionsof thefour provincesthatmake uptheAreaof Production:Albacete, CiudadReal, CuencaandToledo. It alsogivesan overviewof thetypesofgrapesandwinesproducedinLaMancha,it teaches thebasics abouttastingandhow to keep the winefor consumptionin ideal conditions. 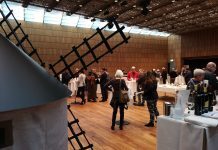 In short,auseful handbookforallloversofwine cultureofwhich3,000 copieshave been printed, and will be distributed largelyby mailtoSpanish andforeigndistributorsandwine merchants, sommeliers andmedia. Next articleD.O. 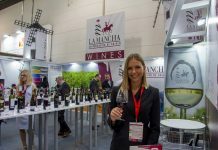 La Mancha: More than just bulk wine, Billy!